Need Help With A Tax Issue? Rex knows the law when it comes to tax matters. With over 41 years of experience, including 3 years on the California Board of Equalization (BOE), Rex has handled a broad range of tax issues from both sides of the aisle and he knows what it takes to win. Although nothing is guaranteed, and every case is unique, Rex has an impressive track record of advocating on behalf of his clients and has been able to negotiate impressive results in many of his previous cases. Rex fights tenaciously to get results for his clients. 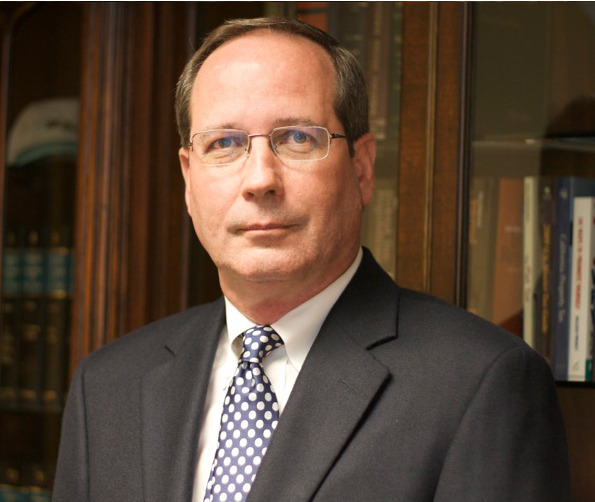 Rex has had a long career in the tax field and he knows how to navigate the various tax entities to get things done. Rex knows how to cut the red tape required to move his clients' cases forward and make continual progress towards a permanent resolution. Since 2005, Rex Halverson & Associates has specialized in tax controversies (Audits and Appeals) and tax credits but his expertise includes income, sales and use, property, payroll, fuel and business license tax matters. Call us now at (916) 444-0015 or fill out the form below and we'll contact you as soon as possible to schedule a consultation. I was able to reach out to Rex directly, spoke with him on the phone immediately, and received one of the best explanations for a complex situation. Not only did he provide me with great advice, he really took the time to walk me through the process. In just one consultation he was able to help me tremendously. Above all he listened to me, which in today’s world means a lot. Great lawyer, great advice, can’t say it enough, I highly recommend. Rex deftly handled a delicate matter for me with such ease, calm and aplomb that it boggles the mind. What once seemed potentially disastrous, was suddenly neutered. If you have tax issues that need expert handling by someone with experience in dealing with these prickly state entities, look no further; Rex is the right man for the job. In addition, Rex is friendly, honest, and a joy to deal with. I am so incredibly grateful that I found him and that he was able to handle my case so efficiently. Thank you Rex! Rex Halverson is great! He took out the time, listened to my concern, guided me to the right agency I should be in contact with and even who I should be speaking to. I appreciated the calm and courtesy, knowledge, and patients Rex provided me concerning Sales and Use Tax. Thanks so much. The best time to contact our firm is when you’re first notified by an auditor of the State Board of Equalization (BOE) that he or she wants to schedule a sales tax audit. We specialize in controlling the audit from day one. We will assist you with a pre-audit of your business records, setting the boundaries of the audit with the auditor, making sure that the sampling of invoices is fair and restricted in scope to relevant items. We will also research the law, regulations and annotations that pertain to your particular business. As part of our representation, we will file an appeal or refund claim, settlement proposal, or offer in compromise, as necessary and advocate on your behalf throughout the entire audit and the appeals process, including appearing on your behalf before the 5-member Board of Equalization. As the former Deputy State Controller-Taxation, I sat on this Board from 1995-98. When the Franchise Tax Board (FTB) contacts you to schedule an audit most taxpayers are completely unprepared for what lies ahead. We can assist you. First, we will educate you about the audit, protest and appeals process; and, then seek to gain a full understanding of the issues and the law that is applicable. We specialize in voluntary disclosures, residency audits, audit appeals, removal of liens, settlements, offers in compromise, negotiations with the FTB and arguing before the appellate body, the Board of Equalization (BOE). Generally speaking, most of our clients with payroll tax or employment tax problems are the result of a business going out of business, but we also see our fair share of penalty cases. The Employment Development Department (EDD) and the IRS automatically impose penalties for the slightest of errors in reporting and payment of payroll taxes. Often these penalties can be abated or waived, but the arguments must persuade the IRS or EDD that reasonable cause exists. That is where we can help. We offer consulting and transactional advice on all aspects of state and local tax matters, including sales and use, franchise, income, property, fuel, payroll (employment) and business license tax issues. We can assist you with state and local tax planning and transactional advice relating to acquisitions, mergers, reorganizations, worldwide unitary combination, divestments, relocations, nexus, sale and leasebacks of major buildings, leasing of equipment, asset sales, employee compensation and benefits, residency, employee versus independent contractor and company acquisitions. Income taxes in California can be imposed in several different ways depending on the source of the income and the residency status of the resident. Residents are subject to income tax upon their entire taxable income, whereas part-year residents and nonresidents are only subject to income tax on income derived from sources in California. If you find yourself in a situation where you're unable to pay an outstanding tax liability you may be able to take advantage of programs offered by the IRS, FTB, BOE, and EDD to get get assistance. While an outright reduction is obviously the best outcome, not all taxpayers will qualify. If you don't qualify for a reduction, you may want to consider a settlement, offer-in-compromise (OIC) or payment plan (installment agreement). Dealing with worker classification issues can be tricky and the tax implications of doing it incorrectly can be significant. Since the IRS and EDD prefer to collect tax revenues early on they have a bias toward classifying all workers as employees if there is any question. Obviously, this can create issues for employers who classify workers as independent contractors. Learn more about how to differentiate between employees and ﻿independent﻿ contractors​ and what to do if you find yourself with a worker classification ﻿issue﻿. For the individual taxpayer, a property tax appeal is a daunting task but it is actually quite simple so long as you are able to gather relevant evidence of your home being over assessed as compared to your neighbors. As for businesses, an assessment appeal can be an arduous process as the assessors do not want to relinquish control of tax dollars and will fight to hold onto every cent. Accordingly, an appeal can take years. To successfully appeal your property tax assessment, you need experts at valuation and appeal. That’s us. We will assist with due diligence in preparation for an acquisition or disposition of a company or with the due diligence immediately following an acquisition in order to ensure compliance with state tax laws. As part of that due diligence, we can review franchise, income, sales/use, property, payroll, and business license tax returns, as well as review the systems utilized to generate the data for those returns. We can also assist with managing the compliance functions until full-time professional staff can be hired by your company. We are experienced at drafting tax initiatives, organizing initiative committees, gathering signatures, polling, running initiative campaigns and qualifying your pro-business tax initiative for the ballot. We also draft statutes, regulations, or annotations for our clients that desire to see a change in the current rules for one reason or another. Once drafted, we shepherd these revisions through the various legislative or regulatory committees. Successfully appealed a bad debt issue resulting in over $14 million in refunds to CA credit unions. Successfully appealed two EDD payroll tax penalties assessed saving the taxpayers over $1.5 million. Successfully appealed a FTB assessment related to forgiveness of indebtedness saving the taxpayer over $3 million. Successfully appealed a FTB personal income tax residency audit saving the taxpayers over $1.2 million. Successfully appealed a BOE assessment of sales and use tax against a direct seller saving the taxpayer over $846,000. Rex Halverson founded his State and Local Tax firm, Rex Halverson & Associates in 2005. 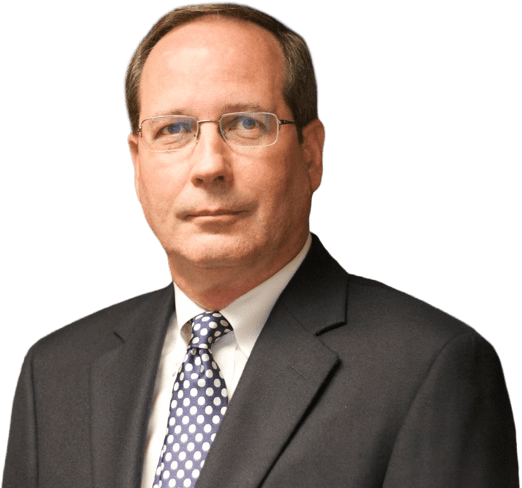 He specializes in tax controversies (Audits and Appeals) and tax credits but his expertise includes income, sales and use, property, payroll, fuel and business license tax matters. Prior to starting up his firm, Rex worked for KPMG (one of the Big 4 Accounting Firms) where he was a Director and Practice Leader for Controversy and Consulting – Western Region in the State and Local Tax Practice. From 1995-1998, Rex served as Deputy State Controller, Taxation for Kathleen Connell, the former California State Controller. While serving as Deputy State Controller, Rex was responsible for representing the Controller on the Board of Equalization and Franchise Tax Board. Rex began his State and Local Tax career in Bank of America’s Tax Department in San Francisco. While at the Bank, he also taught the course “California Taxation” in the Graduate School of Taxation at Golden Gate University in San Francisco.